The Fort Worth Scottish Rite Grand Annual Banquet will be held on June 4, 2016. During our banquet we will honor our 2016 Anson Jones Recipient and will also honor 51 young outstanding students; future leaders of our City, State and Nation. The students will be receiving academic scholarships from the Fort Worth foundation annual scholarship program for 2016. In 1985, the Fort Worth Scottish Rite Foundation, Inc. created its Anson Jones Award to honor outstanding community leaders who have demonstrated great social awareness. The Foundation chose Anson Jones to be the example of the award because of his extensive record of community leadership and service. Each year, one or more persons are chosen in light of humanitarian endeavors and applauded for outstanding citizenship. The Anson Jones Award, named after the last President of the Republic of Texas, who was a Mason and a civic benefactor of renown, is a most perfect example for this honor and recognition. Since the Anson Jones Award Program inception, Fort Worth Scottish Rite Foundation has awarded over $1.4 Million to deserving to youth in its thirty five county area. Anson Jones was a Doctor, Congressman, and the last President of the Republic of Texas. He was also a Judge Advocate and Surgeon in the Army of the Republic of Texas. He served the Republic of Texas as a Representative, Senator; He was a Minister to the United States President Pro Tem of the Senate, Secretary of State and as previously stated, the last President of the Republic of Texas. Previous recipients of the Fort Worth Scottish Rite Foundation’s Anson Jones Award include Tarrant County Judge B. Glen Whitley, former State Senator Robert Glasgow, businessmen Ed Bass and H. Ross Perot, and many other outstanding community leaders. The 2015 Anson Jones Recipient was the Honorable Preston “Pete” Geren. The 2016 Anson Jones Recipient is Congresswoman Kay Granger; our Honorable Representative for the Texas 12th Congressional District. Kay Granger Has often stated her pride in representing the Texas’ 12th Congressional District, and thanks all for the opportunity of serving the community she has been an integral part of her entire life. Elected to her 10th term in 2014 by an overwhelming margin, Kay has a reputation as a hard-working, tough and principled leader on the issues that matter to her constituents. Her legislative prowess and ability to get things done led to her recognition by CQ’s Roll Call as one of the 25 Most Influential Women in Congress. 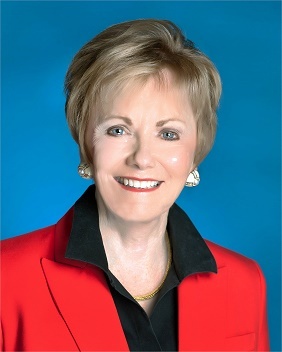 The first and only Republican woman to represent Texas in the U.S. House of Representatives, Granger serves as vice-chair of the powerful Defense Appropriations Subcommittee and chair of the State and Foreign Operations Subcommittee, which has direct oversight of the Department of State and national security programs abroad. Born in Greenville, Texas and raised in Fort Worth, Kay graduated from Texas Wesleyan University and became a high school journalism and English teacher. In 1978, she opened and successfully operated her own insurance agency before becoming involved in the political process because of some local issues impacting her and her community. She became a member of the Fort Worth Zoning Commission, and was elected as the first female Mayor of Fort Worth in 1991. Under Kay’s leadership, Fort Worth’s economy grew; crime was reduced by 49 percent; and, the city was recognized as All-American City Award in 1993. Kay returns home to the district nearly every weekend to meet with constituents in person and talk with them about what is going on in Washington. She attends the First United Methodist Church of Fort Worth and is the mother of three children and grandmother of five. She is an avid and accomplished painter, and enjoys being with her family during spare time. Congratulations to our State of Texas, United States Congressional Representative; Kay Granger, as the 2016 recipient of the Anson Jones Award. Our Scottish Rite Foundation will be honoring 51 outstanding High School Students that have demonstrated high and outstanding academic achievement in their scholastic endeavors. Many or most are straight “A” students with demonstrated proficiency above that expected by scholastic standards for high school students. The students selected are from among 400 or more applicants competing for the scholarship award. Those selected are among the most talented and academically equipped young professional students that are well suited for further academic education. Those selected were judged on their academic achievement, extracurricular activities, employment history, community and church involvement, and letters of recommendation from community and professional leaders with in their communities. The goals and aspirations of the students range from Teaching Careers, Medical and Nursing, Scientific and Technical, Information Technology, Public Service Careers, Marketing, Management and Careers in the Service of our Nation to identify a few. The 2016 Fort Worth Scottish Rite Foundation Scholarship Recipients will be recognized and honored at the Annual Grand Banquet on June 4, 2016. The Foundation will award 51 scholarships of $1,500.00 to the selected graduating seniors in the Fort Worth Valley. Included in the 51 awards is a reserve of 6 scholarships reserved for students who will begin their college career in community colleges. Congratulations to our Scholarship Recipients for 2016. Our valley looks forward to hearing from and following the academic careers and professional careers of these outstanding young professional as they complete their education and pursue careers in the future. In addition to the great opportunity to fellowship during the honoring of Representative Kay Granger and our Student Recipients, we will enjoy a great meal and have an opportunity to hear from our Representative to Congress. I understand the presentation by our Representative Kay Granger will be very special with something for all to remember. The evening has all the hallmarks of a Grand evening providing good food, Honors all around and a great evening of fellowship with Scottish Rite Masons and their Ladies and Guests.